Trees are an essential part of our ecological system. They take care of all living beings and the environment. It’s hard to imagine a sustainable earth devoid of trees. For proper growth and maintenance of your trees, you periodically need to hire a tree service for tree trimming. Sumner residents must understand the fact that trees are an important part of a healthy life. They help keep our environment pollution free. But proper tree care is not always the easiest thing to do. There are cases when a tree gets uprooted during storms or because of some disease. The sheer size of the tree makes the task even more difficult for homeowners. That is why you need to call a professional for proper tree care. Sumner residents need not worry, as they have the best tree trimming service available from Hunter's Tree Service. They have the necessary tools and desired knowledge to get the job done right the first time. 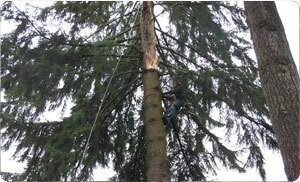 Professionals follow several safety regulations for tree care. Sumner homeowners’ safety is the priority for them. 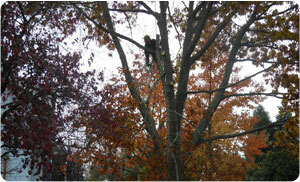 Hunter's Tree Service offers practical tips that prioritize safety first when dealing with a problem tree. Trees clean the environment and perform a free and selfless service that is similar to a mother that takes care of her offspring. This is why every resident should provide proper tree service. Sumner residents have these services available for both private owners and commercial enterprises. Private tree trimming companies have the best solutions with respect to controlling plant growth and tree stump removal. We can answer all of your questions about proper tree care. Sumner residents are guided with complete safety measures and information about how to keep your trees healthy. Improper tree care can definitely make an impact on our everyday life. For every penny spent on tree care, Sumner residents receive benefits that are worth so much more. We offer free estimates before we carry out tree care services for homes and commercial spaces, such as tree trimming. 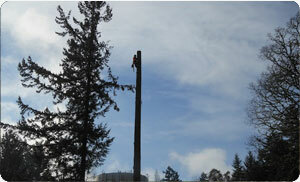 Sumner residents can obtain the necessary details by contacting Hunter's Tree Service. Give us a call for a preliminary assessment before tree trimming. Sumner residents can give us a call at 253-777-1938 for a rough estimate of the costs involved with tree trimming.